Gaming has taken the world by storm and it seems it won’t be stopping soon. eSports, mobile gaming, huge investments in developing increasingly impressive games have all been factors in creating a global gaming phenomenon. PAX, the event formerly known as Penny Arcade Expo, is a series of gaming events held in Seattle, Boston, Melbourne, and San Antonio. Though the exact number of attendees has not been published since 2012, we know that it has been on the rise and you should consider a figure way above 70 000. The event was created by Jerry Hulkins and Mike Krahulik in 2004 as a gaming – only event. Jerry and Mike are also the authors of Penny Arcade, an webcomic focused on gaming culture. Following the success of Penny Arcade, they’ve decided they need a place where gamers can get together and experience their favorite hobbies together. So PAX was born. The first edition was attended by 3 300 people in Bellevue, Washington, at the Meydenbauer Center. As the word spread out PAX moved to other cities and then other countries. In 2013, PAX arrived in Australia. That same year, passes for PAX Prime, the original Washington Festival, were sold out within 6 hours. Igro Mir (meaning “Gaming World” in Russian) is the largest games event in Russia. It is organized by the committee of Russian Game Developers Conference in Moscow every year since 2006. While many things can be said about the conference, like the fact that it grew steadily since its launch, that the event took Moscow by storm and more, a certain pattern comes up when it’s being reviewed. Can you notice this beautiful pattern? The largest gaming and digital entertainment event in Asia is ChinaJoy or China Digital Entertainment Expo & Conference . The event features more than 120 000 sq. m. in exhibition space, over 3500 games showcased and visitors from more than 30 countries. ChinaJoy is growing rapidly and expects over 270 000 attendees this year. The TGS 2016 theme illustration. Source. The Tokio Game Show or TGS started in 1996. It is held once every year, in September, in the Makuhari Messe, in Chiba, Japan. The show is focused on Japanese games but often international game producers attend the event to showcase upcoming titles. The event grew steadily since start and has reached a record of 270 197 attendees in 2013. This year the number of expected attendees is 230 000 and the theme is “Press start to play the future”, a take on how the gaming industry is redefining the future of entertainment. In 2015 Brasil Game Show attracted more than 300 000 attendees which makes it the largest event of its type in Latin America. BGS is a mix between gaming, cosplay, entertainment and business opportunities for gaming industry professionals. Its main expo area is focused on B2C but there is also a special B2B space where entrepreneurs and professionals can meet and interact. The show was created in 2009 by Marcel Tavares, an entrepreneur and journalist. One thing about Tavares is that he really likes video games. He likes them so much that throughout the years he has acquired 350 consoles, 3500 games and hundreds of accessories. 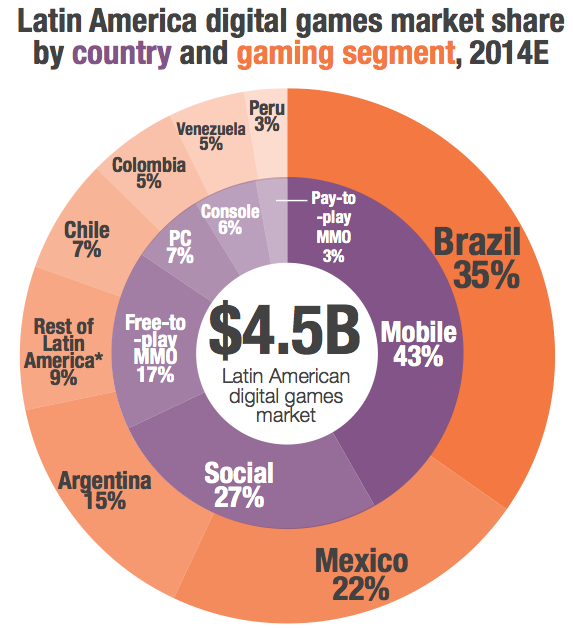 BGS grew at a rapid pace and the reason for that is the high potential of the LatAm gaming market. 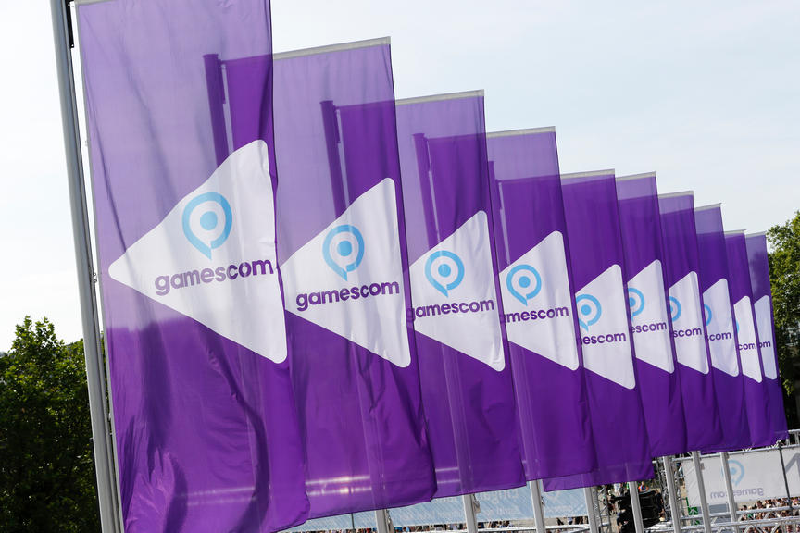 Gamescom gathered 345 000 attendees and 806 exhibitors in 2015. The European gaming convention brought in people from 96 countries to attend 4 days of gaming extravaganza. The convention, held in Koelnmesse in Cologne, North Rhine-Westphalia, Germany, is organized by the Federal Association of Interactive Entertainment Software. For four days is home to game developers showcasing their creations and avid gamers interacting with them. The fair includes cosplay village, music and on-stage entertainment, interactive panels and a very, very large exhibition area. Gamers can test games before their market release, purchase merchandise, have fun and even buy games before they are available publicly. Millennials are changing the world by attending live events. No, really. Experience economy is usually associated with millennials and the shift in spending habits. One of the experiences they(we) are most likely to engage into are live events. Multi-day festivals, for example, have become a kind of rite of passage for many. Music, fun, experiences and often long-term connections with peers are all desirable. As such, there is no surprise that half of the 32 million people that attend festivals in the US are millennials. Let’s start with a short intro to technology and, most important, connectivity technology. It won’t take long. You are probably aware that computers have evolved constantly from the 1970’s. Flash news number two: they have now become both powerful and cheap enough to help empower people from all geographical and social backgrounds. A report from the White House shows that millennials have been shaped by the ubiquity of technology. Yup, tech is in their DNA. Taking a photo at a festival and saving the experience. Source. Connectivity technology was surprisingly influential. Both mobile phones and social media have been used by teens in the previous decade to stay connected, exchange information and share moments with their peers. This led to what is now called “Fear of Missing Out” (FOMO). As they are more and more connected on social media outlets and share important moments in their lives, the need for “being there” has increased. Also, over half of millennials report that people ask them for purchase opinions and they influence four to five friends and family. So there is an increase in millennial influence and an increase in the number of people that want to be influenced by them. As a result, social gatherings such as live events have become the norm. Groups must attend or they fear missing out on potentially important social interactions. Lollapalooza attendance has grown from 65,000 in 2005 to 300,000 for 2014. Revenue in 2014 was $28.8 million and generated over $140 million for the local economy. Burning Man has become a globally followed event. In 2014 more than 65 000 attended the event. Coachella sold over 198 000 tickets in 2015 and raked in more than $84 million. One of the hottest things the festival has pushed forward was the live streaming, now at 28 million views, a way for millennials to stay connected, even if they are not there. And that’s not all — an increase in festival attendance has taken the world by storm. A long list of awesome festivals show how millennials now acquire experiences. It’s not just festivals, either. It’s concerts, movies and even pay TV. 83 million millennials will spend $750 a year to purchase experiences, as a Deloitte reports. That’s $62 billion changing the world, spent by people who crave for experiences. How does the experience economy change the world? A change in purchase options for millennials is a huge thing for the global economy and as a result, society at large. By spending more on experiences, by joining large groups, by accepting diversity and seeking it, the millennials are making the world a more connected place, smaller and less prejudice prone. As the manufacturing of goods has been streamlined, automated and increasingly effective, goods have become accessible. A computer or flat screen TV used to cost a small fortune to own. Now they are both accessible to many so they have lost their social status symbol. Even big ticket possessions such as cars or houses will soon lose their appeal as the world perspective shifts from owning to accessing. So goods become commodities. They are accessible and lose their appeal to the masses of millennials that will soon become the dominant spending force in the global economy. Brands will have to face the truth sooner or later. The marketing added value will soon fade and products will be just as desired as their manufacturers are socially responsible, as millennials demand. Even now, emerging brands such as Warby Parker or Bonobos emphasize their positive impact on the society catering to their target market’s values. Experiences will become defining for individuals’ character. And large scale events, attended in foreign cities, countries or even continents, will build global citizens. Millennials will grow up with a global perspective rather than a local one. This will improve international relations because we already know that people that trade together don’t fight one another. We’re finding out that people that have fun together may care for one another. Credit cards have long become mainstream but are now increasingly less appealing to new generations. Festivals have started to experience with new access and payment tokens, such as RFID wristbands that double as entry tickets and payment devices within the events’ areas. Who says these new payment and financial systems cannot step outside the festivals and replace old institutions, such as banks, and technologies, such as credit cards? The music industry has become rigid and resistant to change. A few labels own a large deal of rights to music and artist’s creative abilities. With the rise of large independent events and an increase in popularity for indie artists that can connect directly to their fans, change will happen. Even more — we may experience new types of art performances that so far have been hiding in underground concerts and small events. Burning Man is a great example. It went from one of the smallest festivals in the US to one of the most influential and large ones. It used to be the place where underground artists, hipsters and libertarians used to come hang out. It is now the place where tech titans meet and build new ventures. And it’s not just music in the US. It is also tech, medical events and more. Brazil has seen a huge and steep increase in the number of business events. Eastern Europe, for example, has had a boom of tech events such as ICEEfest . Event management tools now help event organizers, small to mid to large, set up and handle their dream event. Social media as we now understand it is anything but social in terms of human emotional needs. If anything, it alienates individuals through over-inflated and weak relationships. The kind that we, as humans, feel good about on the short term but don’t rarely find real value in in the long term. The number of Facebook friends, the number of Instagram or Twitter followers may feel superficially satisfying but what we crave for are the real experiences. The touch of a hand, the laughter, the warm feeling of finding someone you know you want to spend time with. These are all things Facebook cannot provide, no matter how many Oculus devices they ship. Millennials want something that their parents and grand parents had and they have not received enough of. The digital empire brought about by tech companies as well as the very structure of our civilized world, with large cities and weak ties between people, is not satisfying. By connecting in real life events, millennials are building a real “social world”, with the help of “social media”. They crave and they will have the strong ties that happen in the real world. They crave and they are building a new world where people are people, not just numbers on a Facebook profile. One live event at a time.